Not all wrap shops can offer the 3M MCS warranty. To offer the warranty you must be both a 3M Certified wrap shop or use 3M Preferred Installers, printed at a 3M MCS Certified shop using all 3M components which include base vinyl, ink and laminate. Not sure if you care covered under the 3M MCS Warranty? 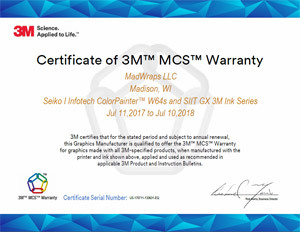 Ask to see the 3M MCS Warranty Certificate. If another shop cannot provide the 3M MCS Warranty Certificate there is no 3M Warranty. The most comprehensive finished graphics warranty in the industry. 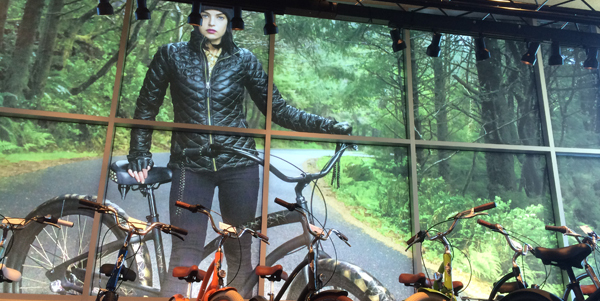 When you use finished graphics are made with all 3M Graphics products and components, you’re protected for virtually any application.